I've just been looking through the photos of last year's Reader Rally at Combe Martin in North Devon and they reminded me of what a fun weekend it was. 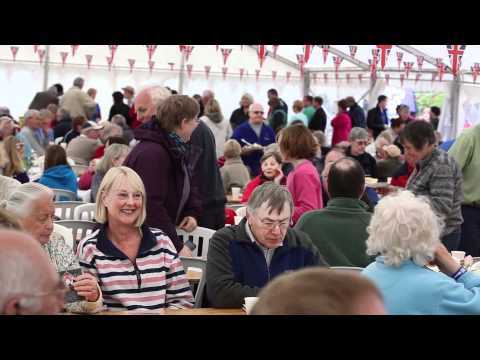 Also how admirably the facilities at Stowford Farm Meadows caravan site cope with the several hundred Practical Caravan readers who descend on them for a weekend of entertainment. The site has two bars, a restaurant, a takeaway and a riding stables, plus several washblocks. Friday night is quiz night, with prizes for the winning teams. Over the weekend there will by question and answer sessions with our experts. There will be face painting. There will also be ferret racing. You can enjoy a barbecue served by the Practical Caravan team! There will be lots of dogs – and don't forget to bring your dog as Stowford Farm Meadows even has a dog crèche. Plus there will be a cream tea with a jazz band – bring your dancing shoes. To cap it off there are some great raffle prizes given out by our team. So there's lots to do, but you might still just have time to pop into Ilfracombe to try the local specialities! You really shouldn't miss it and there's still time to book your place. Call Stowford Farm Meadows on 01271 882476 and quote 'Practical Rally'. The three nights will cost £45 per pitch and you can add extra nights at a bargain price too.